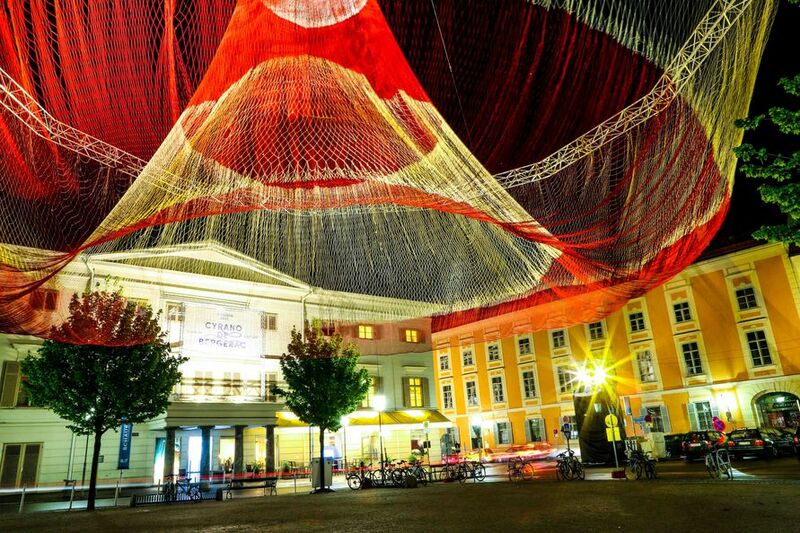 "Target Swooping Austria" is an exhibition of one of the first of Janet Echelman’s architectural netted sculptures that was installed for the Klanglicht Light Festival in Graz in April 2017. It is entirely knotted by hand, with over 1.6 million knots to create its soft lacelike effect. Monumental in scale yet lightweight and delicate, it fluidly responds to ever-changing wind and light. It is a physical manifestation of interconnectedness - when any one point within its structure moves, every other point is affected. 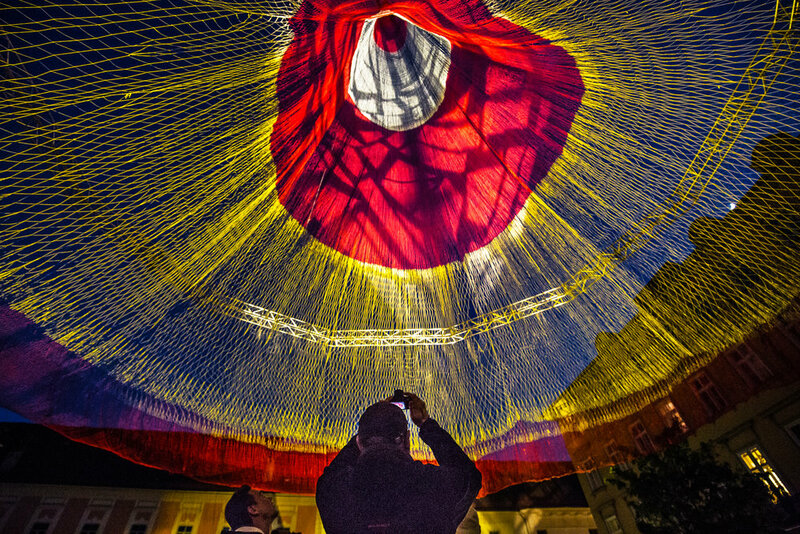 In daylight Target Swooping Austria casts shadow-drawings onto the ground below and at night it transforms an illuminated beacon. 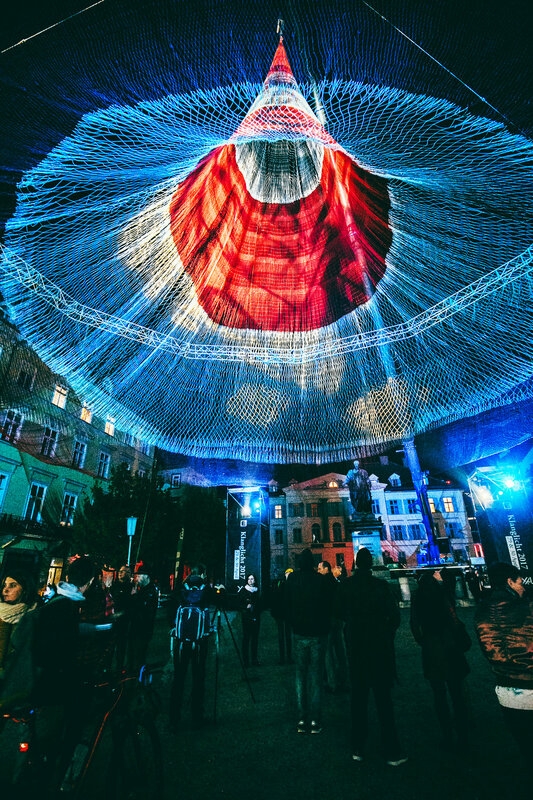 Its story is documented in Echelman’s 2011 Ted Talk “Taking Imagination Seriously,” which has been translated into 34 languages with more than one million views. Dimensions of net: Variable, approx. 140 ft. x 130 ft. x 85 ft.